"Precariousness is the human condition." 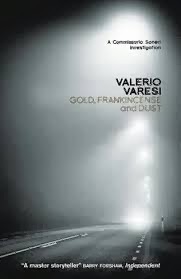 Gold, Frankincense and Dust has a great opening -- Soneri is called to the scene of "one hell of a pile-up" on the autostrada, even though it's really a case for the flying squad. His expert knowledge of the Lower Po Valley is why he must go, especially because there's a heck of a fog that's settled in. Once he arrives, there's chaos within a somewhat surreal atmosphere -- bulls are roaming around with a cow and a herd of a pigs, causing his partner, Juvara, to pose the question of whether or not they've landed in Animal Farm. Disco music is blaring in the background at a fairground. Smoke is everywhere, adding to the fog's confusion. As the police and firefighters arrive and start looking around, they discover a body which has been badly burned. Soneri, despite opinions that the body must have been thrown from the car during the accident, believes that this was not the case -- that the body had been burned somewhere else and then brought to where it was found. Through a stroke of good luck, there is a clue as to the body's identity, and it is identified as being that of a young Romanian girl named Nina Iliescu. It doesn't take long for Soneri and his colleagues to realize that this is no ordinary woman, and that her life is filled to overflowing with secrets. Add to this the old man who got on a bus with twenty euros and two photos and never made it to his destination alive -- and our Commissario has his hands full. But keeping himself focused is tough for Soneri -- his personal situation with Angela has become a bit iffy, making him fearful that "loneliness lay in wait" if she decides that he's not really the man she wants in her life. "in every victim, ... found the frustrations of all human affairs, and for this reason he always felt close to them." In this book, one of the main themes running throughout the story is that of "precariousness," as revealed through Soneri's personal life and his interactions with those who live on the edge of poverty and on the margins of society. Varesi carries this theme throughout the book and he does it well. Unfortunately, considering everything this book has going for it, Soneri's constant worries about being a middle-aged man teetering on the brink of loneliness because of Angela's tendency to wiffle back and forth about her future took away a lot of the fun of the crime solving. By the time it got to the end, I really wanted this book to be over. On a personal level, that's tough for me to say, because I normally enjoy reading this author's work. 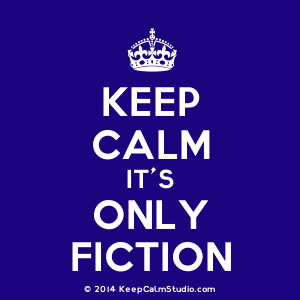 But then again, as I noted above, my preference leans toward edgy without much inner angst within the characters (unless it's noir, then bring it on) so my complaint about all the personal stuff interfering with the crime solving may not be something that bothers other readers. It's a little involved for cozy readers, and doesn't have the edge loved by readers of noir, so I'd place it within the police procedural bracket with an added middle-age crisis sideline. And finally, although this book didn't really do it for me, I will be waiting somewhat impatiently for Varesi's next book to be published.